Week two of our summer CSA and another lovely box full of green things. This week we had some pea greens, Nevada lettuce and a head of cabbage. Cabbage is a vegetable I struggle with. I've roasted it, steamed it, and eaten it fresh but I haven't quite found that eureka! recipe for it quite yet so I decided it should be my chosen vegetable for this week's CSA recipe. We hosted some friends for a grill-out so, while coleslaw isn't exactly original for cabbage, it seemed like a good pick for this week. Chop green cabbage to a relatively fine dice. Julienne apples to fine pieces. With a whisk, whip together Miracle Whip, sour cream, and sugar. Whisk in lemon juice until light and fluffy. Salt and pepper to taste. 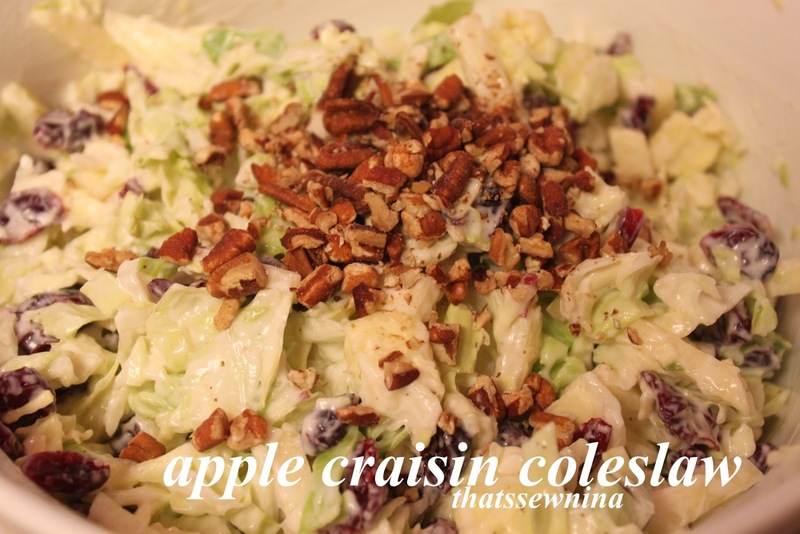 Mix cabbage, apples and craisins together. Stir in dressing until you get the consistency you like. Garnish with chopped nuts if desired. What else was on the menu? Burgers, fruit and dip, chips and old-fashioned lemonade! Nothing like a big fat grilled hamburger! 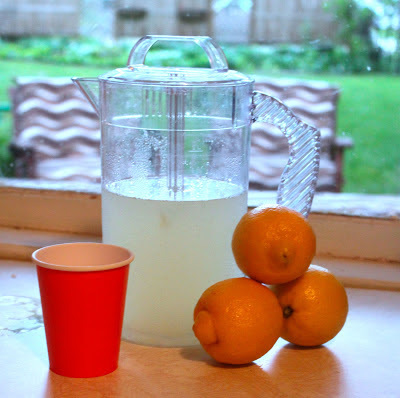 Old-fashioned lemonade is one of my favorite summer treats! Juice 5-6 medium-sized lemons and set juice aside (aim for about 1 cup for 2 quarts of lemonade). Combine 1 cup sugar and 1 cup of water in a small saucepan. Heat it up to a boil until sugar is totally dissolved in the water. (You've just made simple syrup!) Allow to cool. Combine cooled simple syrup, lemon juice and about 1 1/2 to 2 quarts of cold water in a pitcher. Test it to make sure it's the right balance of sweet and sour for your taste. Top with ice and serve. This is one of my favorites! Just whip together 8 oz of softened cream cheese and a 7 oz jar of marshmallow creme. Done!